The Audi R8 when it was first launched was never enough. People craved more performance and a wider variant range. So Audi introduced the R8 GT3 and the street legal R8 V10. 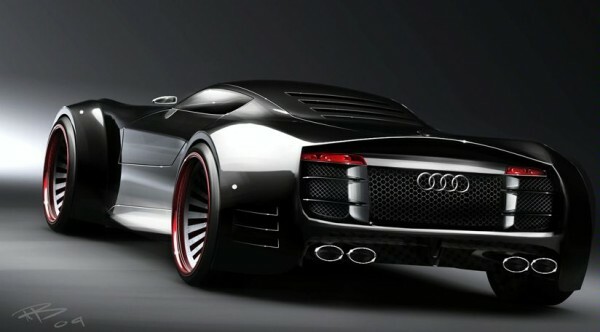 But soon enough people will start wanting more and Audi will have to oblige. The R8 may just be able to include one or two more variants into it’s line-up but anymore and it will be overkill. So what’s next? An industrial design student apparently has the answer. Inspired by the R8 GT3 and the R8 V10, 23-year old Marouane Bembli designed his vision of what he calls the Audi R10. The car he designed features futuristic styling with bold curves and angles, with the massive wheel wells, the muscular shoulder line and the low roof line grabbing the most attention. While the car may look beautifully massive, the R10 that Bembli has envisioned is a lightweight supercar with a V10 engine and a dry weight of 1200kg. Though it may look really fancy and it should be a sin to not build cars like this, it still remains an impressive CGI dream and probably will never see the light of day.